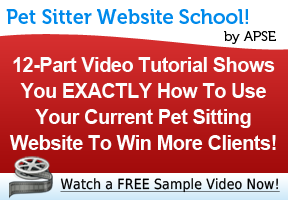 Home » Marketing » Are You Missing Out on Receiving up to 306 Potential Clients Visiting Your Pet Sitting Website Every Day? Are You Missing Out on Receiving up to 306 Potential Clients Visiting Your Pet Sitting Website Every Day? It’s one thing to know, track and monitor how many visitors your website is receiving, but it’s a completely different thing to discover how many visitors your website is missing out on. For example, I was having a friendly debate with another pet sitter friend of mine recently and Steve was not convinced that a website is actually all that necessary for drumming up new business. He currently hits the pavement a few times a month revisiting vet offices and pet supply stores with a batch of fliers and business cards. While I’ve written plenty on the pros and cons of focusing exclusively on a marketing campaign that consists only of fliers, I had to really get to the bottom of Steve’s approach. “What kind of response do you get with fliers and business cards,” I asked? “Eh, you know, not much of anything, really,” Steve admitted. I then asked him why he continues with a marketing campaign that is consistently not paying off. Steve, apparently, wasn’t using his website to its fullest potential, and sadly, didn’t even realize it! It surprised me that he was not even monitoring how many visitors were sent to his site each day, which pages were the most popular, how long each visitor spent on his site or what keywords they used to find his site. He went on to say that he read somewhere to stuff his meta tags with various pet sitting-related keywords and that should do the trick. 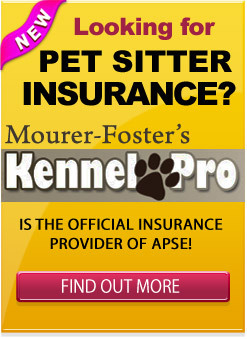 Here’s what I pointed out to him… Steve is a pet sitter in New Jersey. 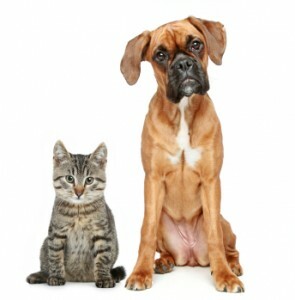 He offers dog boarding, dog walking and the occasional cat sitting visit. If Steve is told to use a generic set of random keywords for his websites meta tag, he is doing himself an injustice and missing out on a ton of potential traffic. Unless you do the proper research based on your specific services and areas that you serve, you’ll have no idea which keywords are the best ones to target. For example, Steve had no idea whether people were searching more for ‘pet sitters in New Jersey,’ ‘New Jersey dog walker,’ or ‘pet sitting NJ.’ He also wasn’t aware that there are literally dozens of other key phrases that people are using to search for his service that he didn’t even consider. I pointed out to him that unless you do the research and target only the most searched for keywords, you’ll be wasting your time and missing out on a bunch of potential targeted traffic to your website. And, really, that targeted traffic is the only kind of traffic you want since those visitors are more likely to turn into happy, lifelong clients. on the following numbers each month. Steve was blown away. These were just a random sampling of 10 sample searches. He saw that we were quickly able to extract a variety of other popular phrases based on these ten alone. “What would you do with an additional 306 potential visitors every single day browsing your pet sitting website?” I asked him? He was still staring blankly at those numbers. I hope the importance of a good website that works is clear. I use and recommend the WordPress platform for all my websites. It creates clean code that Google will appreciate, and it puts an end to your website building frustration with its ease of use. gets searched for more often. you are maximizing your search potential. The final piece of the puzzle is this; No matter what keywords or phrases you choose to target, you should only target one per page. That’s right. Target just one keyword or phrase per page. In other words, create separate pages with separate content for each of your services (keywords) that you wish to target. Target your most popular phrase or service on your home page, then begin to create new page content for all other pet sitting keywords. Please leave your thoughts and questions below.